The hundreds of witness accounts gathered by Yahad-In Unum, and archive documents present an overall view of how assassinations were perpetrated during the Holocaust by bullets. On the whole the killings were organized in much the same way throughout the regions in which the team has been working, despite slight variations according to a specific place, for example depending on the size of a town or village. The exhibition at the Shoah Memorial describes in detail the 8 stages of execution as revealed by Yahad-In Unum researchers. Archive texts and documents are presented along with extracts from witness accounts by Ukrainians interviewed by the team. 1 - The Germans prepare for the killings: Jews are summoned by posters, radio or loudspeakers; Ukrainians are requisitioned. 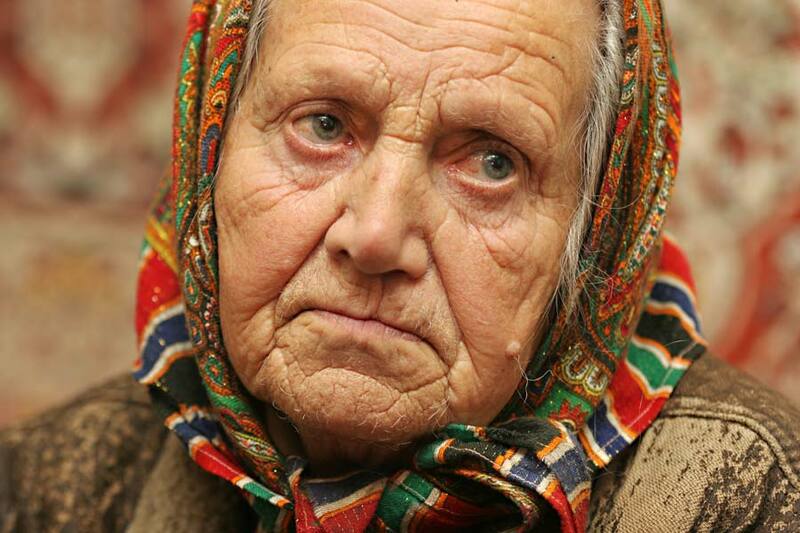 Ukrainian civilians were frequently requisitioned by the Germans in towns and villages. The peasants, women as well as men, were often very young. They were made to dig graves, transport the Jews, and also fill in the graves. 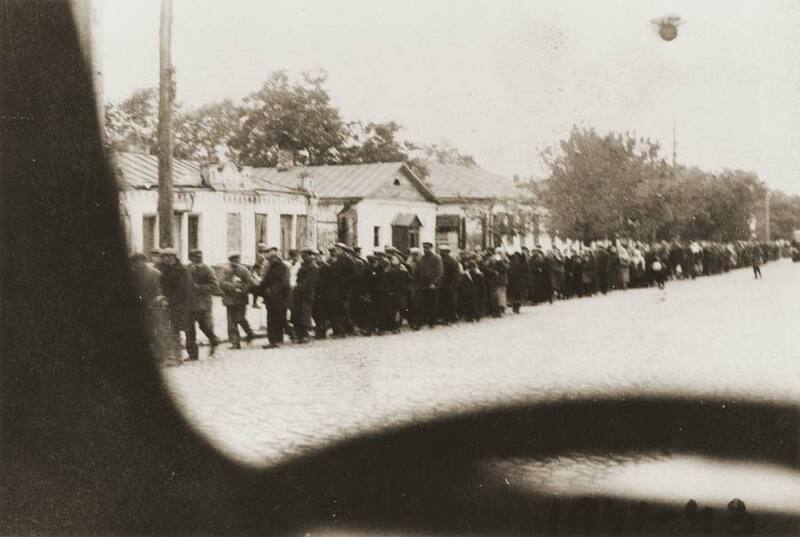 2 – The Jews are arrested, assembled or confined, and then led towards the execution site. They were arrested by various methods: trickery, being grouped together in ghettos, arrested in their homes, etc. They were often misled into believing they were to be transferred to the East, to Kiev, or Palestine. The policemen then scoured the villages and surrounding fields and forests for several days, looking for Jews in hiding trying to avoid arrest. In every case, the arrests were accompanied by numerous assassinations. Jewish victims were then dispatched from the convergence point to the place they were to undress, close to the execution sites. Either they were forced to walk in columns, or they were transported in horse-drawn carts or trucks, accompanied by armed guards. 3 - The Jews are made to wait near the execution site, and are then undressed and their last valuables confiscated. A last selection is made. Victims were not forced to wait next to the grave, so they were unable to see it. At other times Jewish victims didn’t have to wait at all; instead they were beaten into moving very quickly, and were shot the moment they got to the pits. In the majority of cases, however, the Jews were forced to undress completely, taking off first their warm clothes, which were placed in a pile or case already assigned for them, and then, further on, they would take off the rest of their clothes. Those who refused to do so were often killed on the spot. 4 - Once the firing squad Kommando is in place, the victims are led to the edge of the pit. The execution order is then given. The Jews were, for the most part, executed with a single bullet to the back, unlike the German’s usual method for military executions. This choice, explicitly mentioned by Paul Blobel himself, seems to have been made at the start of the executions. For the rest, the commandos progressively tried and tested their killing methods, following numerous and sordid debates. It was while he was attending a “liquidation” in Minsk around the 15th of August, 1941, that Himmler asked for other assassination methods to be put into practice. Gassing vans were brought into use. 5 - After the shooting, the pit is filled in. In exceptional cases, victims are given the ‘coup de grace’. And in some regions, the bodies are cremated. After the shooting, the pit is filled in using sometimes lime first and then the earth. Often it is requisitioned locals, with their own tools, who perform this task, and are therefore witness to the fact that many victims are still alive at the time. 6 - The Germans party in the villages. The Jews’ clothes and belongings are sorted through, taken away, and distributed or sold. 7 - Some Jews manage to survive. The Yahad team has found and interviewed a number of these survivors who sometimes live just a few kilometers from the place where they escaped death. 8 – The Babi Yar extermination site in Ukraine. When German troops entered Kiev on the 19th of September, 1941, almost 100 000 Jews fled the city. Those who remained were accused of having organized assassination attempts and starting fires. Posters billed around town informed them that they should congregate on the 29th of September, 1941, at 8 o’clock in the morning, as they were to be “reinstalled” elsewhere. They were escorted to the ravine at Babi Yar, on the northeast of the city, where they were assassinated in small groups on the 29 and 30th of September, 1941. The report sent by Einsatzgruppe C to Headquarters speaks of 33 771 Jewish victims. Hanna Antonivna Gonovaltchiouk. Born in 1921. Interviewed at Berditchev, Zhytomir region on the 16th October, 2005. Eye-witness. Witness 251. 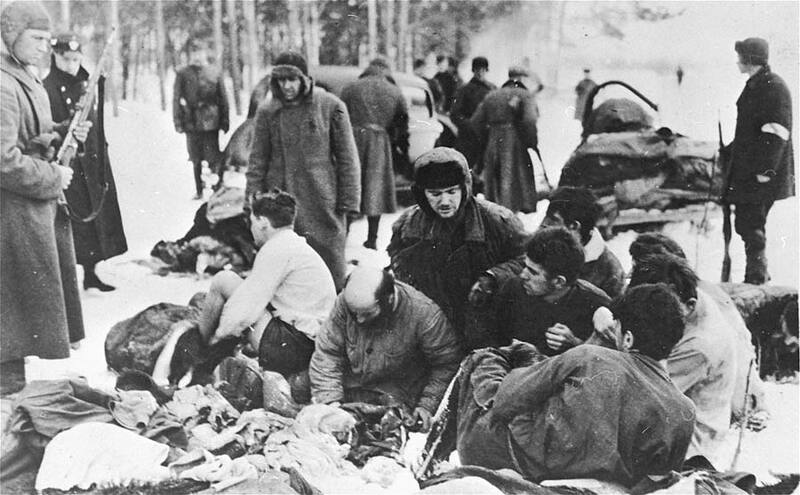 Jewish prisoners being forced to undress before their execution by Ukrainian auxiliaries. 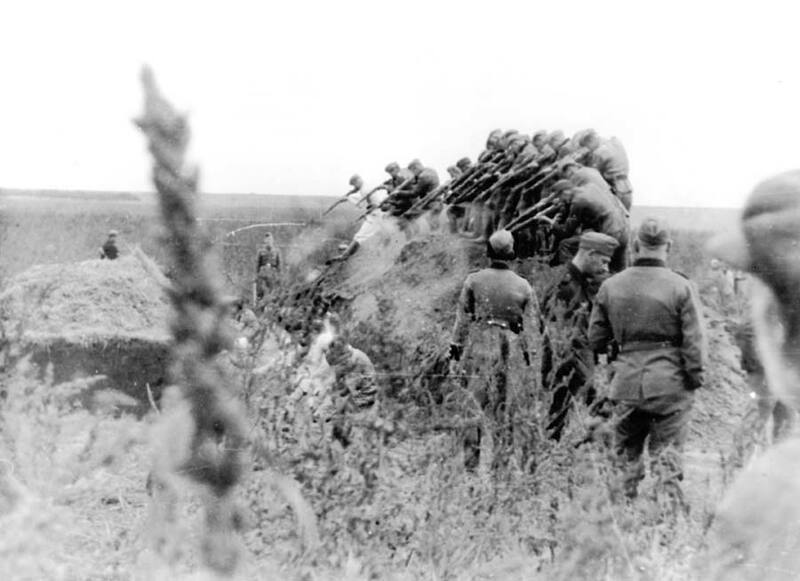 Einsatzkommando members shooting at Jews in a field in Dubossary, Moldavia. The weapons are Mauser guns. 14th of September, 1941. Dubossary, Moldavia, USSR. Photographer unidentified. 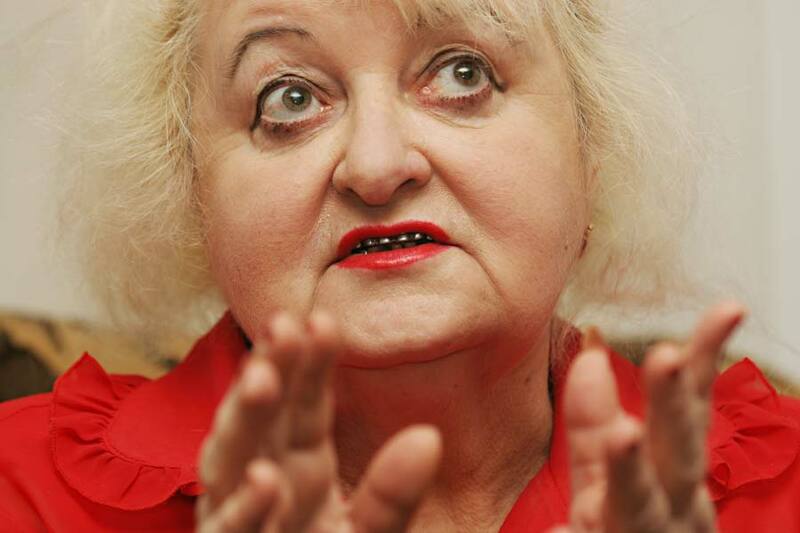 Nina Roufimovna Lisitsina. Born in 1939. Interviewed at Belogorsk in the Crimea on the 24th of December, 2004. Survivor. Witness 103.